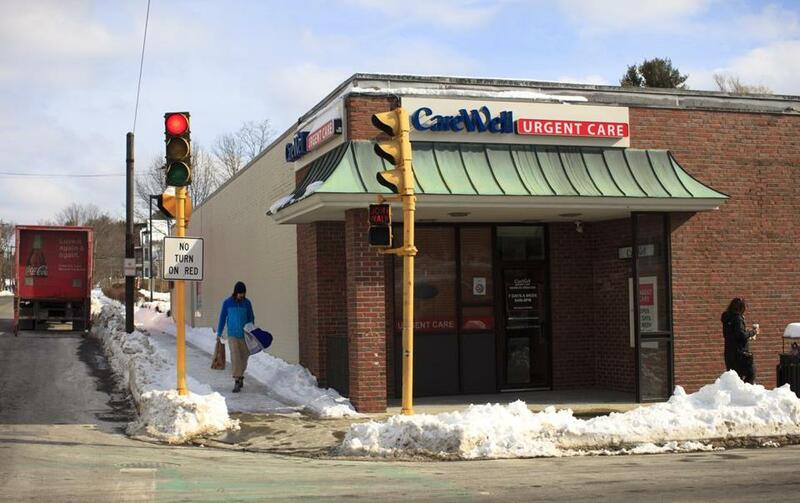 A CareWell Urgent Care location in Needham. CareWell Urgent Care, a fast-growing chain of walk-in clinics, will pay $2 million to settle allegations that it gave patients overly thorough exams and then billed government insurers for the unnecessary care. The investigation by the Massachusetts and Rhode Island attorneys general and the US attorney in Boston was prompted by a whistle-blower complaint filed by a former CareWell nurse practitioner. Aileen Cartier, who worked at several of the company’s locations for almost two years, said managers told staff to take medical histories and perform exams on patients that far exceeded what was needed for their simple ailments. CareWell falsely told staff that the company’s malpractice insurer required the extensive visits, regulators said. Cartier filed a complaint in US District Court in Boston, which was unsealed Friday as part of the settlement agreement. Her complaint laid out numerous examples of unnecessary care. For example, a 10-year-old might come in with sports-related finger pain, and be asked about sleep disturbances, chest pain, and fatigue, and get an exam including eyes, ears, nose, throat, neck, lungs, and abdomen. Providing more complex care allowed the company to bill payers more money, often $50 to $100 more than for a basic visit, the complaint said. “Oftentimes when I do a full history and physical on patients they often appear to be confused and ask me why I’m examining things that have nothing to do with their injury or ailment,’’ Cartier wrote in an e-mail to a manager in October 2016, according to her complaint. “Our top priority at CareWell is to provide safe and high-quality medical care to our patients. We believe it is crucial to be thorough with each patient’s examination in order to provide the best possible care,” said the statement from spokesperson Maria Kucinski. According to a statement from Massachusetts Attorney General Maura Healey’s office, the company began overbilling the Massachusetts Medicaid program and insurance plans for government employees run by the Massachusetts Group Insurance Commission in 2013. Regulators also allege that when CareWell medical staff did not comply with the directive to provide unnecessary exams, non-medical staff altered electronic billing records to ensure maximum reimbursement. Regulators said CareWell also falsely billed for services provided by nurse practitioners as services provided by physicians, which offer a higher reimbursement rate. Cartier’s lawyer, Jeffrey Newman of Boston, said his client will continue to pursue retaliation claims against CareWell, allegations that were not covered by the settlement. She will be awarded 17 percent of the settlement for her role as a whistle-blower.